Jo Brenecki is a speech-language pathologist, mother of two and freelance writer. She has a degree in Applied Science in Speech Pathology and has worked with children and families in health and education settings for over 25 years. She is currently the Senior Speech Pathologist at The Benevolent Society. She has a passion for supporting parents and teachers to develop children's communication, learning and social skills by sharing information through blogging and article writing. For over 25 years Jo has worked with children with communication and learning difficulties, developmental delays and other disabilities. She has a particular interest in autism spectrum disorders. As well as working directly with children and their families, she has also worked with teachers, child care workers and school support officers to help children learn and develop. While raising her own two children, she was involved in parent groups, playgroups, preschool and school activities. As a parent she was able to experience how simple, everyday activities could be used to enhance children's learning and development. Jo believes that good nutrition, quality caring relationships and the opportunity to play and explore are vital to children's development and well-being. She believes that each child deserves the opportunity to reach their own potential and is keen to support adults in developing the skills of the children in their lives. As a speech pathologist, Jo had knowledge in the area of baby and toddler development and feeding prior to becoming a mom. Becoming a parent of two children, who both experienced feeding difficulties and later food allergies, sparked a greater interest in the areas of breastfeeding and other aspects of baby feeding and nutrition. Jo is also passionate about supporting babies to develop communication and play skills. She loves to share information about how quality early experiences for babies can lay strong foundations for future learning and development. As a parent of two, including one child with special needs, Jo has experienced the challenges of family life. Having worked with parents and children for many years, she is aware of the wide range of experiences and challenges that families face. Jo has a Graduate Diploma in Health Counselling and believes that supporting families is vital to the development and well-being of children. Through her work with children over many years, Jo has seen the value of experiencing books from an early age. As a parent she was able to watch her own children develop a love of books and experience the joy of sharing this with them. Jo feels that parents and children spending time reading together has enormous benefits for children's current and future learning and helps build quality parent-child relationships. Her work over the years with developing children's literacy skills has reinforced her belief in the relationship between a child's experience with books and his or her success with reading, spelling and writing at school. In her spare time Jo loves gardening, cooking, reading, photography and walking. She and her partner are restoring their 1865 home in the Barossa wine region of South Australia. She loves to cook with fruit, vegetables, herbs and eggs from her own garden and is passionate about making fresh, seasonal food. She loves to explore the local hills, beaches and vineyards with her camera in hand and try out local cafes and wineries. 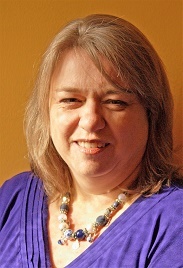 To find out more about Jo and what's she's doing today, visit her profile at LinkedIn.